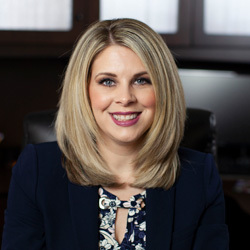 Kristen Anders Bojarski is an aggressive legal advocate for her clients who also appreciates the value of resolving matters amicably. Having been a member of the Shah Law Group, P.C. 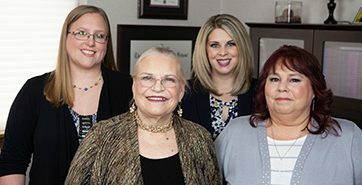 team since 2010, Kristen handles most of the firm’s complex family law matters, including divorce, child and spousal support, high conflict custody matters, PFAs and equitable distribution. Kristen also handles estate administration and prepares various estate planning documents. Kristen understands that family law and estate matters are extremely stressful and overwhelming, and that the legal process is difficult to understand. Compassionate by nature, Kristen guides her clients through every step of the process and communicates with them in a way that puts them at ease and helps them to feel in control over what happens in their case. Kristen is a native of Washington County. In her free time, Kristen enjoys reading, writing, traveling and spending time with family and friends. Western Michigan Cooley Law School J.D.